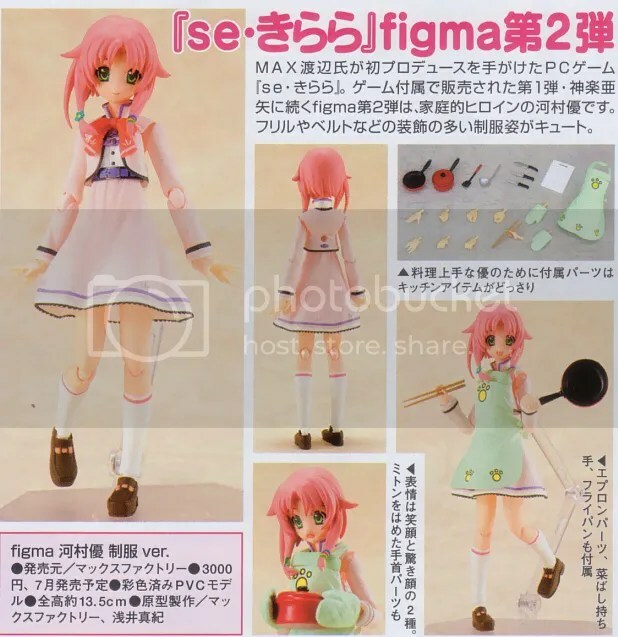 The figure is scheduled for May 2010 release at 7,700 Yen retail price. 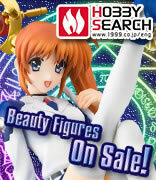 The figure is scheduled for August 2010 with no exact price yet. 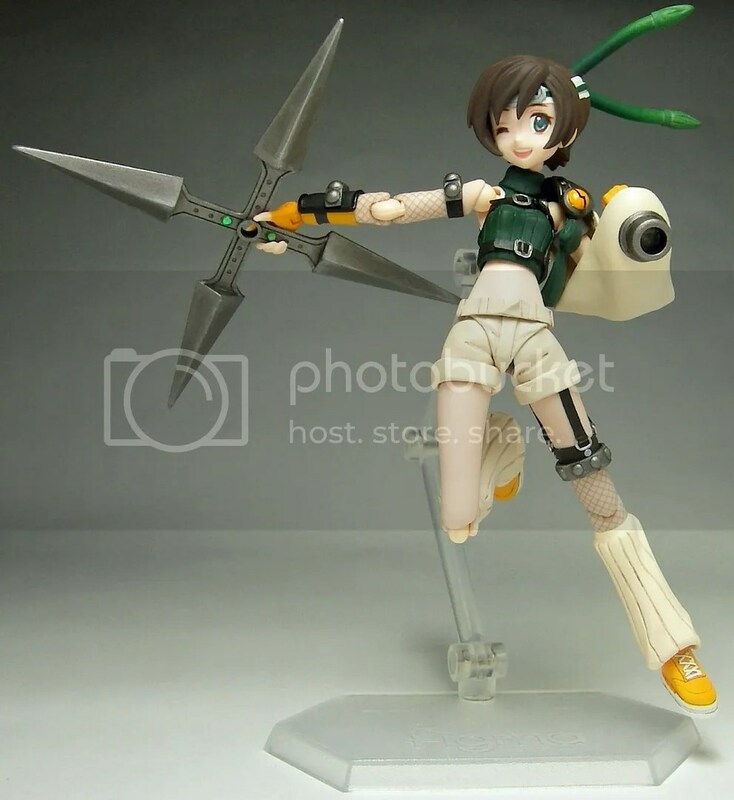 The figure is scheduled for July 2010 release at 3,000 Yen retail price. 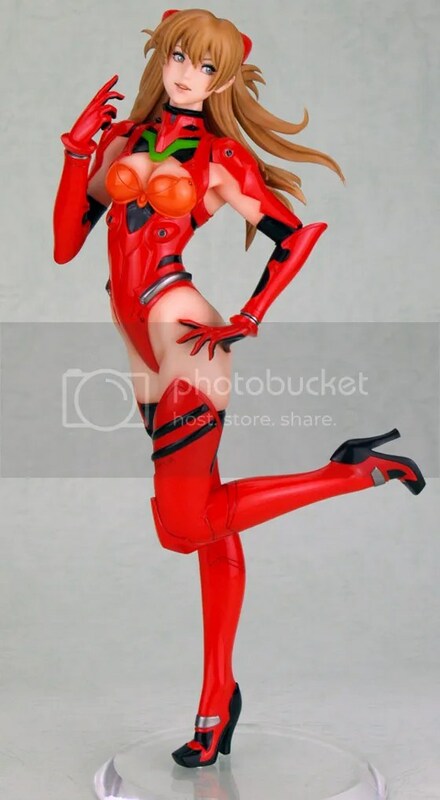 The figure is scheduled for August 2010 release at 3,000 Yen retail price. Expect it to be limited as the others. 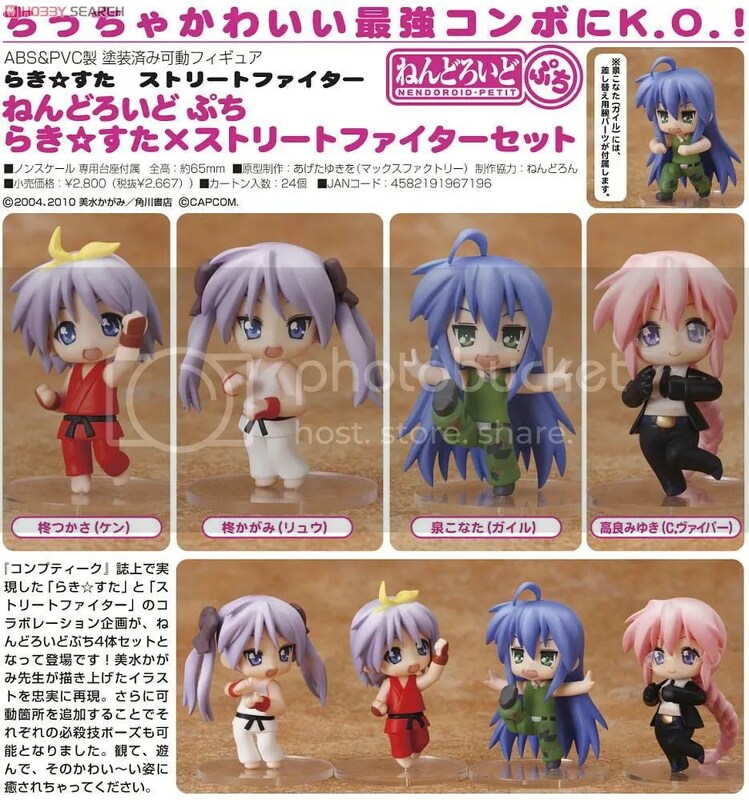 GSC’s Nendoroid Lucky Star x Street Fighter Reservation Starts!! 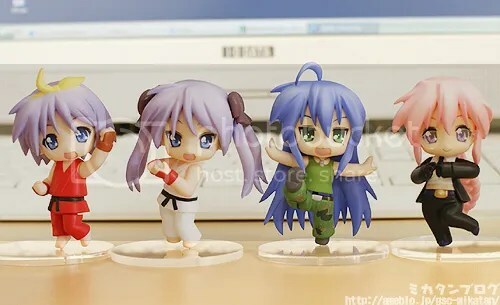 This new set of “Nendoroid Puchi Lucky Star x Street Fighter” will be available this coming August 2010 by Good Smile Company for 2,800 Yen retail price. 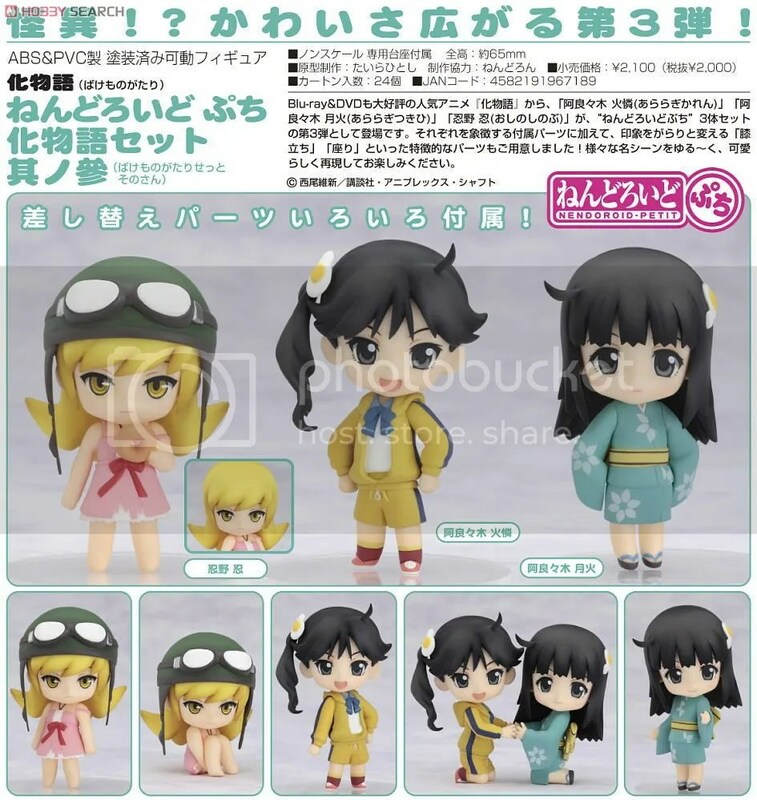 Hobby Search is taking reservations for the set as of today. 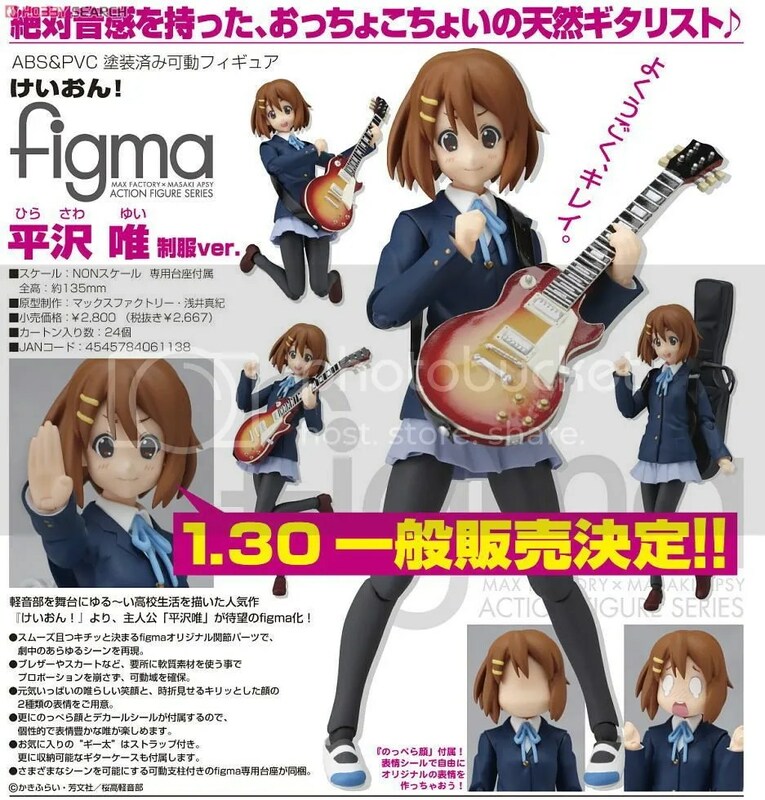 Name: Figma Hirasawa Yui School Uniform Ver. 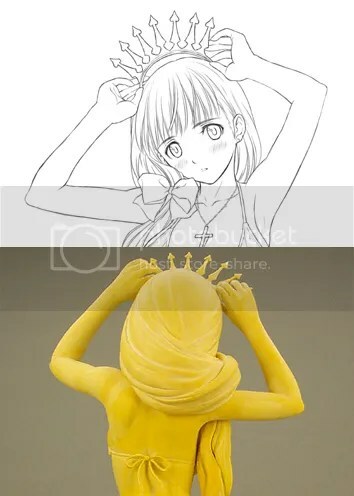 FREEing’s Nendoroid Reina Reservation Starts!! 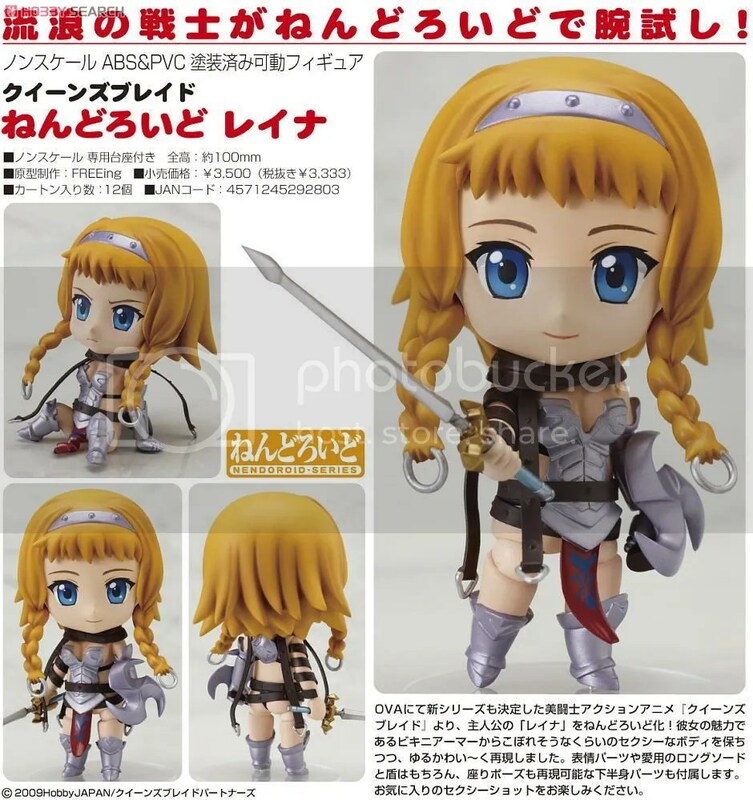 This new figure of “Nendoroid Reina” from Queen’s Blade, will be available this coming July 2010 for 3,500 Yen retail price. 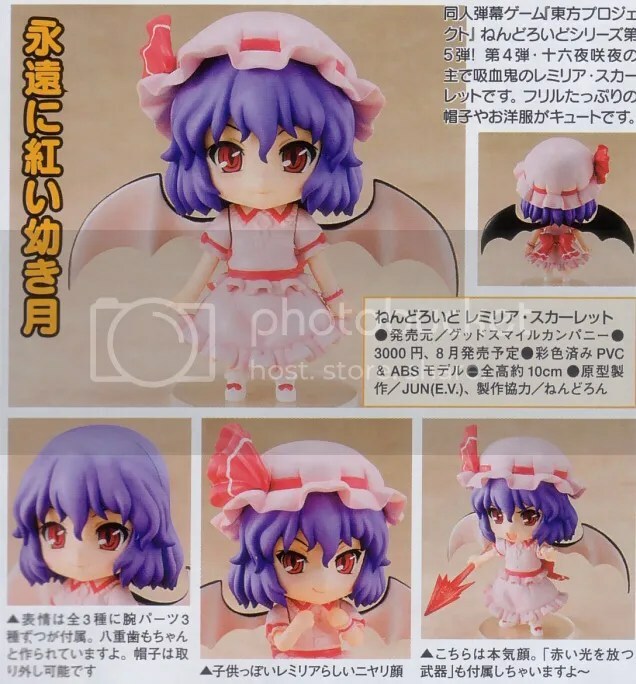 Hobby Search is taking reservations for her as of today. 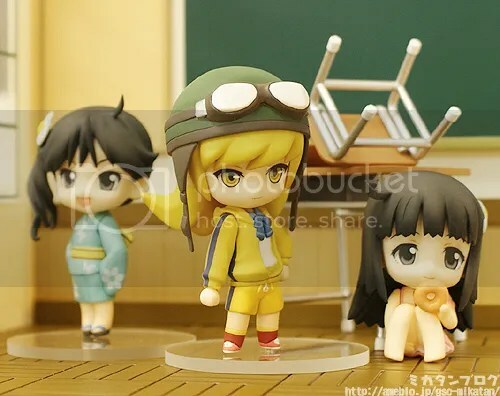 GSC’s Nendoroid Puchi Bakemonogatari #03 Reservation Starts!! 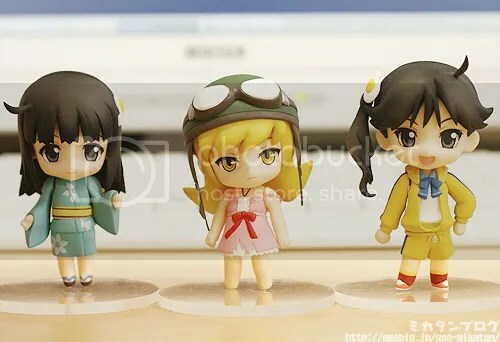 This new set of “Nendoroid Puchi Bakemonogatari #03” will be available this coming August 2010 by Good Smile Company for 2,100 Yen retail price. 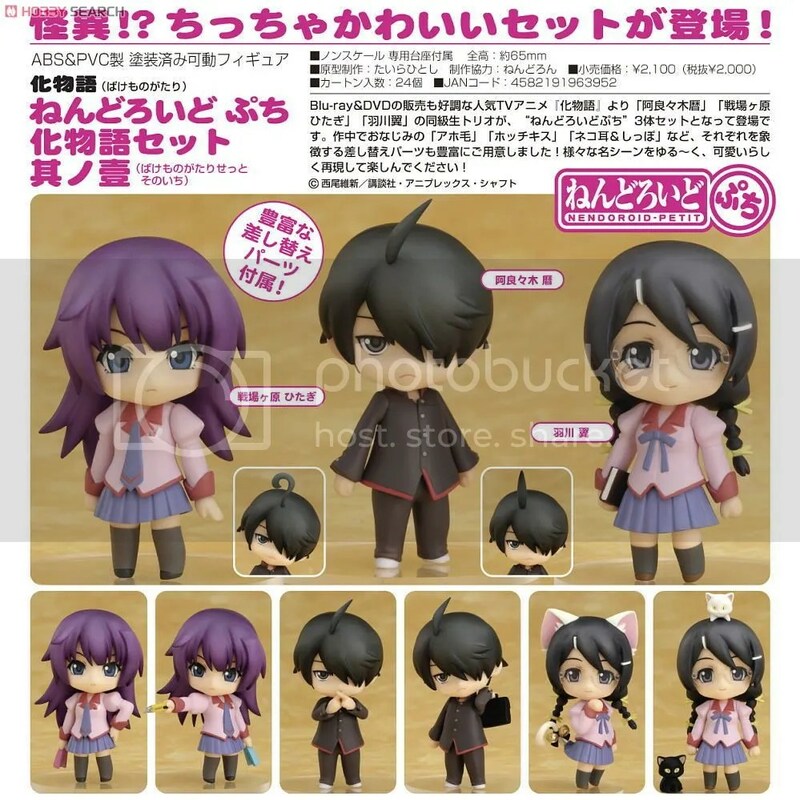 Hobby Search is taking reservations for the set as of today. Note: Delayed. 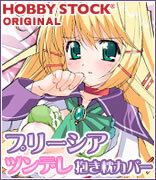 Originally scheduled for November 2009 release. 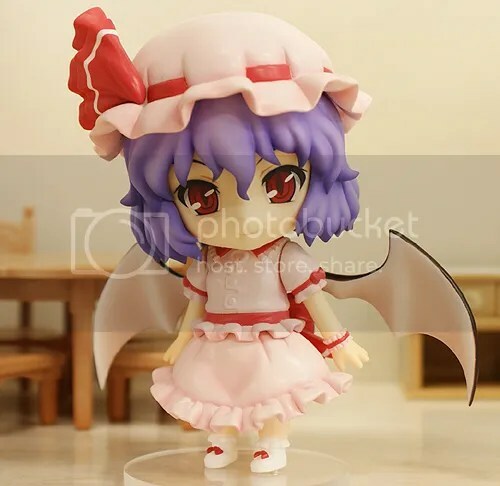 The following item has been delayed from its original release date. 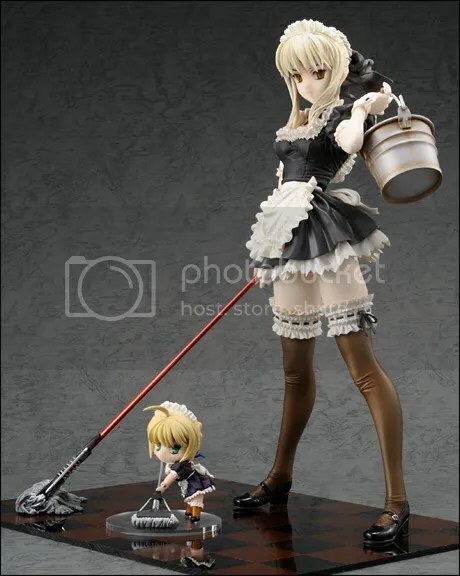 Name: Saber Alter Maid Ver.